Users with the Crescendo™ vocabulary can quickly switch between its three vocabulary levels. In the new level, you will still have your customized buttons and folders. This simplifies the switch from Basic Communication to Intermediate Core. If your user has a Crescendo vocabulary, you will see a Vocabulary Level section. Tap it. If you don’t see this section, you will not be able to change vocabulary levels. We recommend transitioning to a Crescendo user. Please see Transition to a Crescendo user for step-by-step instructions. Tap the vocabulary level you want to change to. In general, we recommend using Intermediate Core. 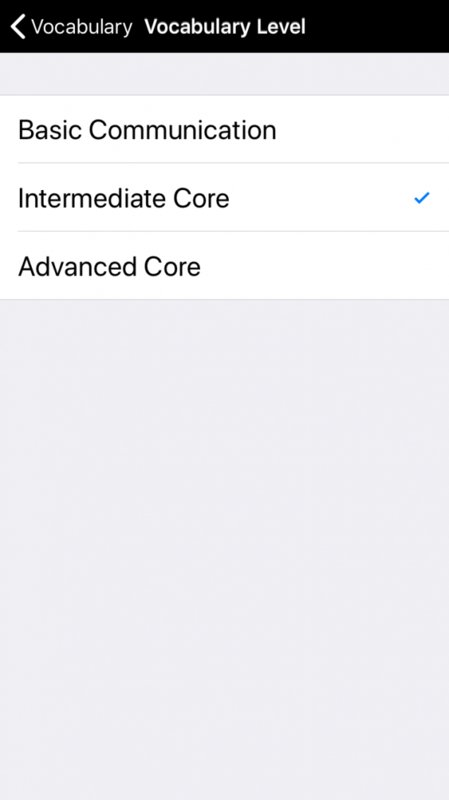 If you switched from Basic Communication to Intermediate or Advanced Core, all of the buttons you had before will still be in the user. However, they may have moved. Some buttons may now be in their folder’s Storage level. You can move them out of Storage in Edit Mode. 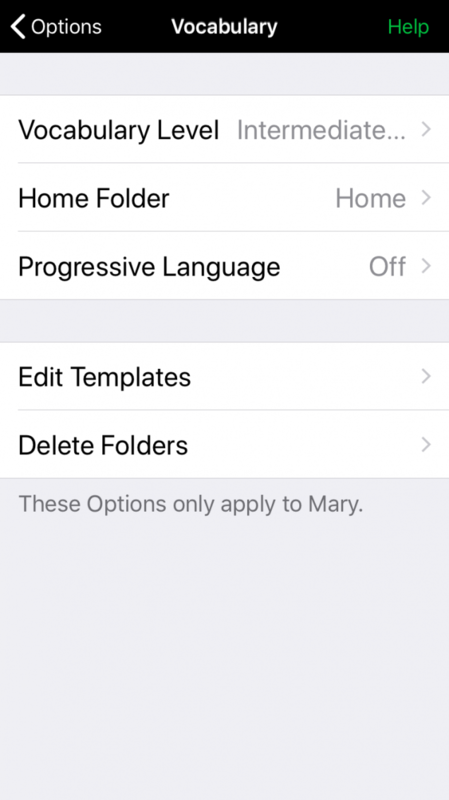 For instructions, see Prioritize buttons in a folder.